People are prepared to do the wildest things for a bit of thrill and an adrenaline rush. 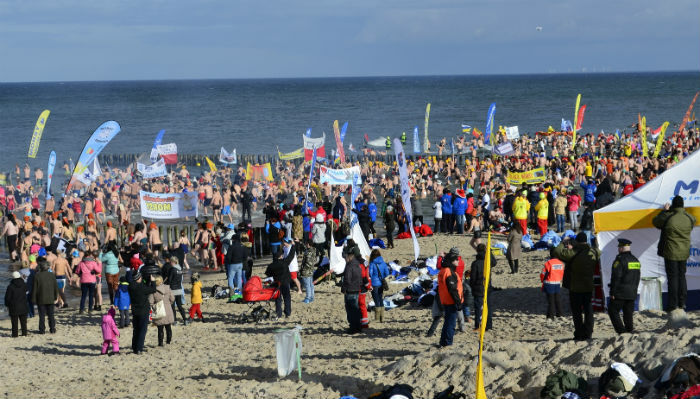 One of the more extreme is known as the polar bear plunge, and it involves stripping down and jumping into icy cold waters. And there is an entire club, called the Polar Bear Club, on Coney Island which is devoted to this. They even host these events a couple of times a year. Initially, this was intended as an annual activity which people would attempt for the sake of the adrenaline rush it provides. Unfortunately, people often overlook the potential risks involved in such an activity. If you are not fit enough, or if your body is not in the physical shape that can survive something like this. Here are just some of the things that happen to your body as it enters the icy liquid. First of all, our bodies are ill-equipped for handling freezing waters. When freezing water touches our skin, our bodies instantly go into something called cold-shock. This cold-shock is one of our body’s many involuntary responses. This means that we do not have any control over it, and this is the reason for the gasping breaths which follow when you enter the cold water. This is especially problematic if you find yourself under water. As the old shock hits, you may potentially gasp for air at a time when you are submerged underwater and as you do that your lungs might be filled with the cold liquid. If you happen to inhale too much water, you might end up drowning before reaching the surface. In addition to that, our bodies have another response after the cold-shock. This is reflex action is known as the diving reflex, and it occurs as the cold water forces blood vessels to constrict. This then helps our body to maintain heat on the outer parts of the body, but it also makes pumping blood to the internal organs much more difficult. Pretty soon your body starts pushing the blood from your limbs into the heart and brain to preserve the functionality of vital organs and increase your chances of survival in these extreme conditions. This is extremely strenuous on the heart and can have deadly consequences for people with weak hearts or other underlying heart conditions. Even people with completely healthy hearts may experience some issues in these conditions. Still, this does not stop the countless thrill-seekers that are looking for the next adrenaline hit. Some people have claimed these activities are beneficial and that they have experienced improvements in health due to these activities. Doctors do agree that the release of adrenaline in these cases is possible due to the shock of being in the cold water. Unfortunately, none of the cited health benefits have been backed up by science. The general idea is that swimming in these conditions might cause an overall improvement in health and that the body might become more resistant to various diseases. 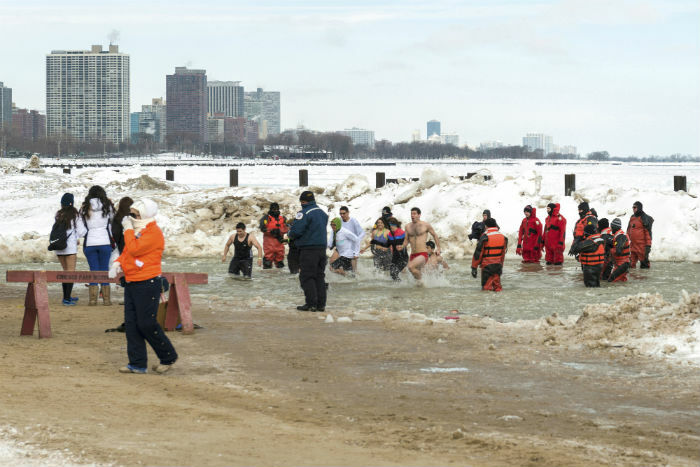 But as in all facets of life, practice makes perfect even with the polar bear plunge. Doctors do agree that a body that has been adequately trained for this does develop and adapt to be better able to withstand the adverse effects of cold water. Bodies develop an extra layer of fat to warm itself when spending a lot of time in cold water. The involuntary reflexes connected to this also start to diminish over time. Also, if you slowly walk into the water and do not jump you are much better off. So, swimming overall has a lot of positive effects on the body, but the only benefit of swimming in cold water is the layer of fat you develop.